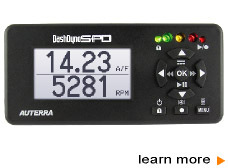 Auterra's automotive OBD II scan tool product line combines a scan tool, performance meter and data logger on three different platforms: Windows PC, Android and DashDyno SPD. Save money by skipping the dealer and find out why your vehicle's Check Engine light is on. Pays for itself within the first few uses. 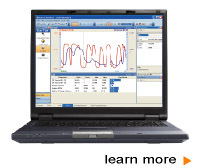 Measure instant and average fuel economy, data log engine sensors, and measure horsepower and torque. A common file format means data recorded on Android or DashDyno can be viewed on your PC. GPS integration logs sensor data and vehicle position to be viewed within Google Earth. No other scan tool manufacturer offers so many platforms and unique features. NEW! OBD-II adapter software and hardware license for OEM's. Windows 10, 8, 7, Vista, XP supported. Android software for tablet and phone. Wireless and USB OBD II hardware available. Read codes and display definitions on-screen. Record and view live vehicle sensor data. All OBD II protocols supported. 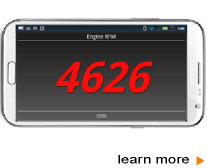 OBD II software for Android. OBD II software for Windows. Ruggedized OBD II automotive computer.